A mother whose two children were murdered by their father seven years ago says she ‘can’t believe this keeps happening’. Several recent cases have thrown the spotlight on estranged partners who resort to drastic acts of revenge, writes Adele Horin. Custody issues are not the main reason estranged fathers kill their children. They kill to punish their wives for leaving them. That is the conclusion of Australia’s foremost expert on murder-suicide, Carolyn Johnson of Curtin University. 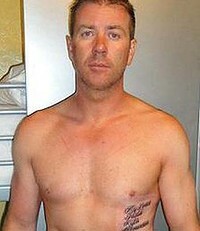 Paul Rogers’s tattoo list the names of his family members. ”Of the cases I studied, all the men had access to their kids and they used the access time to murder them,” said Dr Johnson, whose book Come with Daddy, explored murder-suicides after marital separation. A police hunt for five-year-old Kyla Rogers ended on Monday night near Casino with the discovery of her body in a car beside that of her father, Paul. Earlier, the bodies of his former partner, Tania Simpson, and a ”family friend”, Anthony Way, were found in a flat on the Gold Coast. Dr Johnson said the kind of men who kill in these situations are those with a proprietorial attitude towards women and children. They will not relinquish control, they are used to calling the shots in the family, and are often pathologically jealous. When they finally realise their wives are not coming back, they turn lethal. Paul Rogers was found dead in a car with his daughter Kyla. Several recent high-profile cases have thrown the spotlight on estranged fathers who have resorted to murder. Last month, Arthur Freeman was jailed for 30 years for throwing his daughter Darcey, 4, to her death off the West Gate Bridge in Melbourne. The judge concluded he had used his daughter in an attempt to hurt his former wife ”as profoundly as possible”. 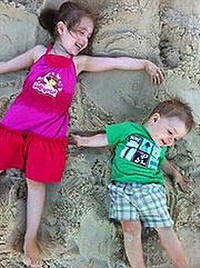 Little angel…Kyla Rogers, pictured with her brother Bronnson, was found dead in a car beside the body of her father, Paul. Freeman lodged an appeal against the sentence last week. And last year another estranged father, Robert Farquharson, was jailed for a minimum of 33 years for deliberately driving his car into a dam and drowning his three sons near Geelong. 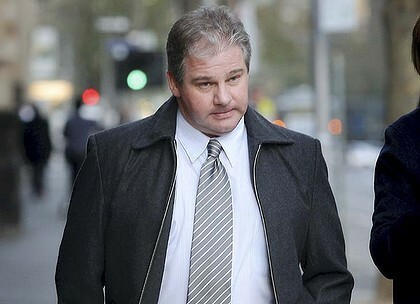 The judge said Farquharson had resented that his estranged wife had started a new relationship. He has lodged an appeal. Lesley Laing, a leading expert on family violence from Sydney University, said a history of controlling and violent behaviour was behind most cases of family homicide but too many people ignored or dismissed women’s fears. ”The community reaction often is ‘what more can we do to make this man or these men feel better’ by changing family law or providing more services,” she said. Instead the focus should be on the safety of women and children. Dr Laing recently completed research on the family law system’s response to victims of domestic violence. She also chaired a committee which has led the NSW government to establish a domestic violence death review panel. She said the way to prevent more deaths of women and children was to find better ways to protect them. At Men’s Line, the national counselling service for men, 40 per cent of the callers are going through separation, and some are so angry they express a desire to hurt others or themselves. ”It’s a very challenging situation for counsellors,” the program leader, Randal Newton-John, said. He said many men relied entirely on their wives for emotional support and when the relationship broke down they had nobody to turn to. He said it was essential that men going through separation sought help early for any emotional difficulties. For Ingrid Poulson, the death of her two children and her father at the hands of her estranged husband in 2003 was beyond her worst nightmare. Her husband, Phithak ”Neung” Kongsom, had been violent, controlling and she had taken out an apprehended violence order, but she did not think he would ever kill the children. Yesterday she said women had to be ”hyper-alert” to signs that men were putting the children’s welfare at risk. « Divorce, Child Custody Dispute Leads FATHER to Kill his 5 year Old Daughter- “If I cant Have her- NO ONE WILL!